In the mid-1980s, writing in two small radical publications, I predicted the dissolution of the Soviet Union and freedom for eastern Europe for the exact month that it did in fact happen. I did not predict it specifically for November of 1989. I predicted it for the height of the next eleven year sunspot cycle. The height occurred in November of 1989. And, as this article argues, this was no coincidence. For sunspots give off solar flares that increase negative ionization on earth–and increased negative ionization during sunspot maximum periods increases human excitability and activity. Scientists have studied and quantified sunspots since the 1750s. They have noted that sunspot cycles will vary in length from 9 to 13 years and in number of sunspots, from half-a-dozen during minimum years to many hundreds during maximum years. Many scientists and analysts have admitted or claimed there is some impact on electrical grids, climate, weather, agriculture and commodity markets, economic cycles, etc. But few admit that human activity could be influenced by something as seemingly irrational — and uncontrollable — as sunspot activity. We are now at the end of sunspot cycle number 23 – numbered since the count began in the mid-1700s. This represents a bottoming out of human excitability and, if we are lucky, a period of relative peace. Of course, people will always rebel against injustice, and as long as there are militarized states politicians will always scheme to launch new wars. However, both these phenomena peak with larger numbers of protests and wars, with greater numbers of participants, during the height of the sunspot cycle. Governmental leaders often respond to mass protests by starting wars to unite the people and suppress dissent; also they themselves may get caught up in the mania caused by negative ionization and launch irrational wars. We are near the beginning of the next sunspot cycle number 24. (And contrary to some alarmists who say it is unusually late, the cycle is starting up well within normal parameters. See this article.) The next height of the cycle –and of mass demonstrations, riots, revolutions and wars — will be around 2012-2014. During the latest sunspot cycle height, 2000-2003, news and editorial writers first focused disprovingly on the big anti-globalization protests which marked the return of “street fighting.” After the September 11, 2001 attacks on the World Trade Center and the Pentagon, protesters largely abandoned their passing fancy with street fighting and returned to nonviolent street protests. Then news and editorial writers were forced to report on the February 2002 and January and April 2003 worldwide protests that were the largest synchronized protests in world history, involving tens of millions of protesters in thousands of protests. 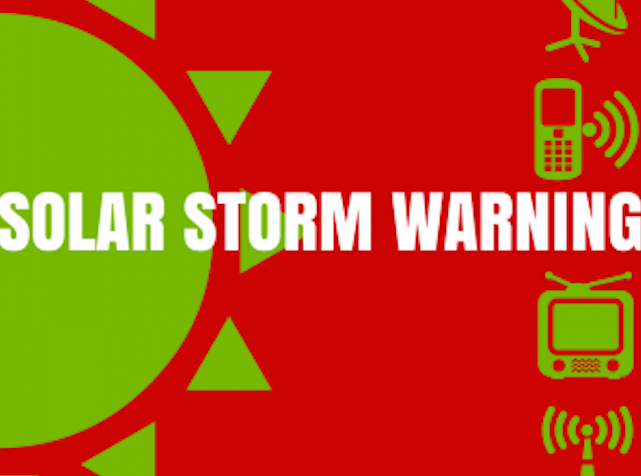 Even before those protests, a smart reporter, Elaine Caluso of FlashNews.Com took the sunspot cycle phenomena (as reported on this web site) seriously and reported on it twice, in relation to protests in Florida over Elian Gonzales and the Year 2000 Elections protests. And the Australian publication Exposure featured an early version of this online article in the year 2000. Now that we are at the bottom of that cycle, there is much despair among activists in many movements at the relatively low level of energy, the dissolution of activist groups and the lack of reaction to increasing government oppression. And again pundits and reporters can’t help commentng. Some blame it on the lack of a draft to motivate young males to action (here and here.) Others blame it on a loss of faith in democracy, on divisions among peace groups and the internet, on fatigue with protesting (or with protesters), on peace movement Zionists squelching activism so no one will protest war on Iran and of course on the so called “success” of the movement in electing Barack Obama U.S. president. There is no doubt Obama was elected by a war-weary populace who had no stomach for war in the quiescent bottom of a sunspot cycle. However, rarely have the wishes of the great majority truly affected the actions of leaders. Activists since the 1960s like myself have lived through several sunspot heights – the 1968-71, 1979-82, 1989-1992, 2000-2003 periods. We can think back at our own experiences of several years of frenzied activity, with big meetings and big protests, when the least indignity might lead to riots, rebellions, revolutions, civil wars. And we can remember other periods of years when once vital organizations declined or died, meetings and protests were fewer and smaller, and lethargic peoples seem willing to endure repression. Then, just when the few remaining activists were in deep despair – a magical resurgence of activity! If governmental intelligence agencies are on their toes, they have bookmarked this page and have experts studying the effect of sunspots on activism so they can squelch or even re-direct such energies when they rise again. So it is hardly silly for activists also to look at the evidence that these cycles have influenced all of human history — and to learn the implications of these cycles for activist organizing today and in the future. 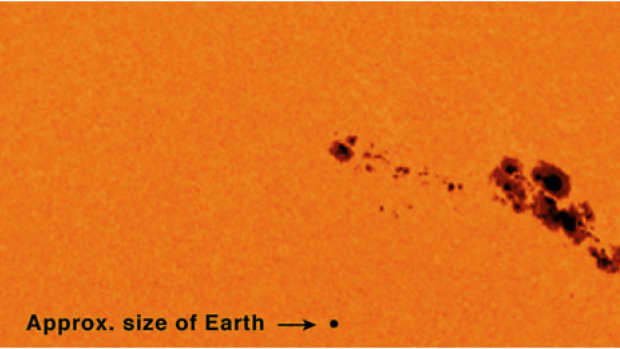 Sunspots are solar explosions, as big as 50,000 miles across, which appear as dark blotches on the surface of the sun. 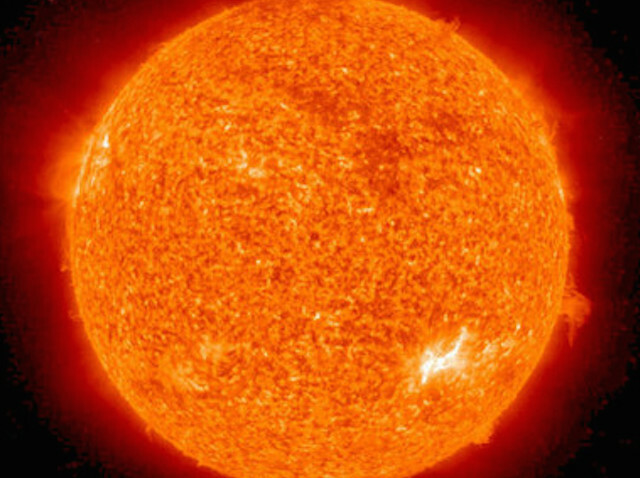 During these solar eruptions ultra-violet radiation, electro-magnetic waves, and electrically charged particles are spewed out into the solar system, reaching the earth within a day. 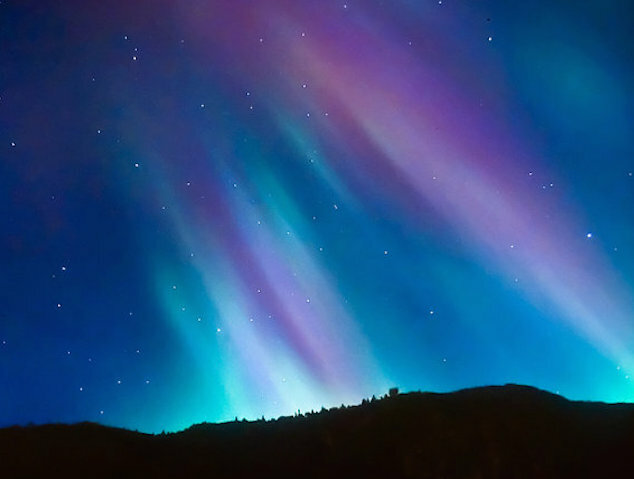 This bombardment of the earth causes magnetic storms, aura borealis, fluctuations in atmospheric pressure and electricity and in positive and negative ionization. During the peaks solar ultraviolet radiation produces the highest ionization densities. It also increases the number of thunderstorms, cyclones and earthquakes and may be related to global warming and cooling. 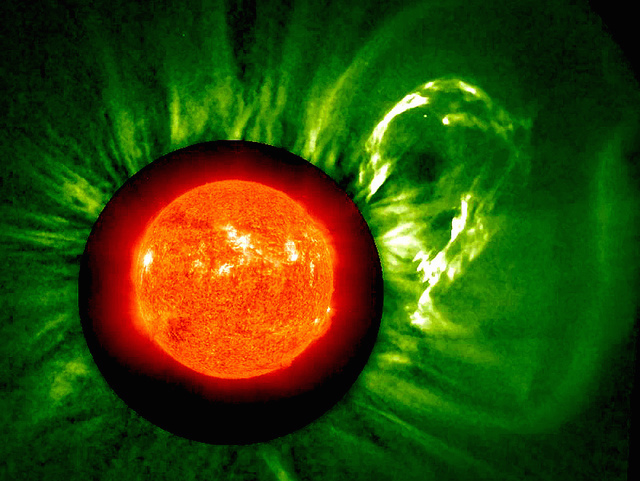 Solar flares have knocked out satellites, telephone and power systems. 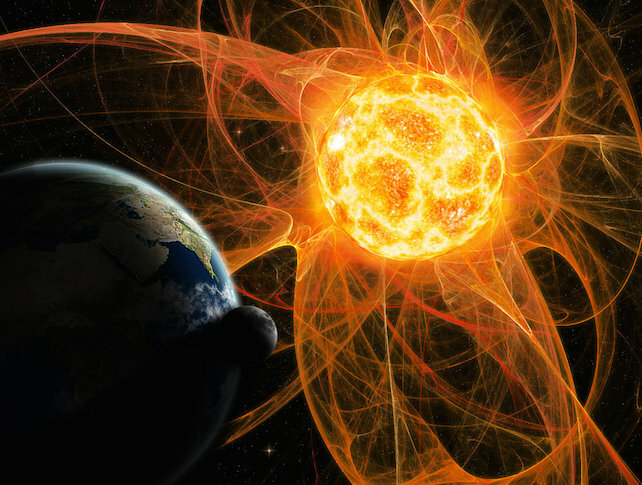 Even military commanders worry that a solar flare knocking out satellites or radar could be mistaken for a first strike nuclear attack by another nuclear armed nation! Considering that during a period of maximum sunspot activity there may be as many as 300 solar flares in one year, as compared with as few as five during a year of minimum activity, it is not surprising that all these atmospheric disruptions might similarly disrupt human sensibilities. 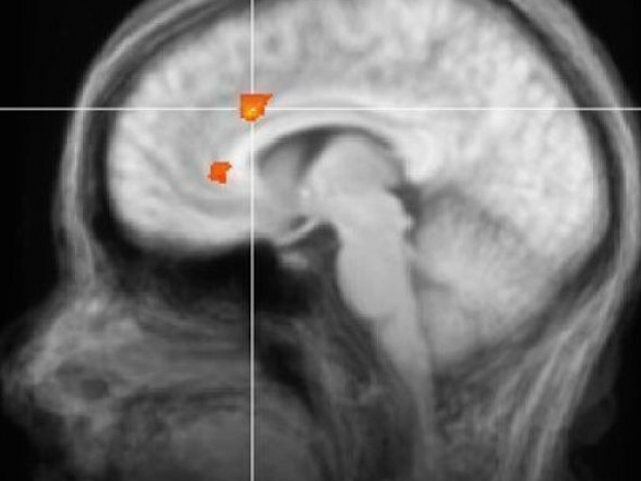 Scientists should throw off their skepticism – or fear of ridicule – and begin serious scientific studies of the effects of solar flares on human behavior. That sunspot cycle activity increased and decreased in a cycle of approximately 11 years was established in the 1750s when astronomers began to make the first charts of the numbers of sunspots over time. During World War I, A. L. Tchijevsky, a Russian professor of Astronomy and Biological Physics who continued his studies at the war front, noticed that particularly severe battles regularly followed each solar flare during the sunspot peak period of 1916-17. To test his hypothesis that sunspot cycle influenced human activity, Tchijevsky constructed an Index of Mass Human Excitability covering each year form 500 BC to 1922 AD. Peace treaty disrupted in Northern Ireland; rioting and guerrilla war in Kosovo; land confiscations in Zimbabwe; Miami protests over Elian Gonzales; Seattle, Washington DC, Prague, Goteborg, Quebec City, Genoa and other worldwide protests vs. WTO/IMF/World Bank; rallies for and against Confederate flag in US; Israeli leader Ariel Sharon’s and Lukkid Party’s provocation of Palestinians to renewed rioting and terrorism; increasing civil war in Indonesia, Sierra Leone and Sri Lanka; overthrow of Milosevic in Serbia; Republicans and Democrats protest the U.S. Presidential elections; September 11, 2001 Terrorist attacks on World Trade Center/Pentagon and violent U.S. response; anti-war protests throughout the world; violent riots in India and fears of India-Pakistan nuclear war; quickly organizing worldwide antiwar movement against U.S. invasion of Iraq; No. Korea and Iran angrily react to Bush’s threats of pre-emptive military action. Decrease Period 2004-2006 Number and size of anti-war protests slowly diminish, even as intensity of rebellion vs. Iraq occupation increases In Iraq; Muslim youth launch massive riots in France; Korea and Libya make deals with U.S.; Iran cracks down further on dissidents; Bush passes Military Commissions Act 2006 and other laws making it easier to impose martial law and jail Americans without trial; interest in legal means of change like elections and impeachment grows; Israel bombs Lebanon to little worldwide protest; First North American Secessionist conference. The old sayings “knowledge is power” and “the truth shall set ye free” certainly would be applicable to the sunspot cycle and activist strategy. Understanding and adjusting to the different periods can’t help but increase activist effectiveness. Of course, it also has relevance for governments, which tend to deal with temporary disruptions either through revving up their repressive police mechanisms — or through starting foreign wars to unite the fractious population to give them an excuse to arrest “treasonous” dissidents. Peace/Repression Period: Don’t despair about apathy or repression because they are temporary; emphasize resisting authoritarian power grabs more than pushing original initiatives; emphasize organizational survival, networking, education. Increase Period: Notice which issues spontaneously arise and offer solutions that are part of the long term program; stress organization building, coalitions; initiate actions, civil disobedience to focus general public on desired change; resist especially any escalation towards war. Decrease Period: Encourage activists to remain active as long as they have the energy; consolidate gains, make sure organizations can survive decreased funding and participation; watch out for attempts to crack down by government once they realize movement is losing support. Activists have seen movements rapidly rise to prominence, press for demands, win or lose their fights, and then a few years later quickly diminish in support and influence. They have seen leaders forgotten or even jailed as followers stayed out of the streets. And, they have seen the same or similar movements revived again to press for the old demands or to make new ones. M.K. Gandhi saw triumphs in India in the late teens, late twenties and late thirties–with years of prison time in between. Lech Walesca formed Poland’s Solidarity union in the late 1970s, spent some of the 1980s in prison, but led a successful democratic revolution in Poland at the end of the decade. In the United States peace and anti-nuclear, civil rights and liberties, anti-tax/pro-freedom, drug legalization, and other movements have had their ups and downs in the last forty years. If there is a link between sunspot activity and human tendencies to mass action and social and political change, as I argue here, activists can and must use this knowledge to organize change. Information in this article was drawn from the following, as well as some of the websites listed in links. 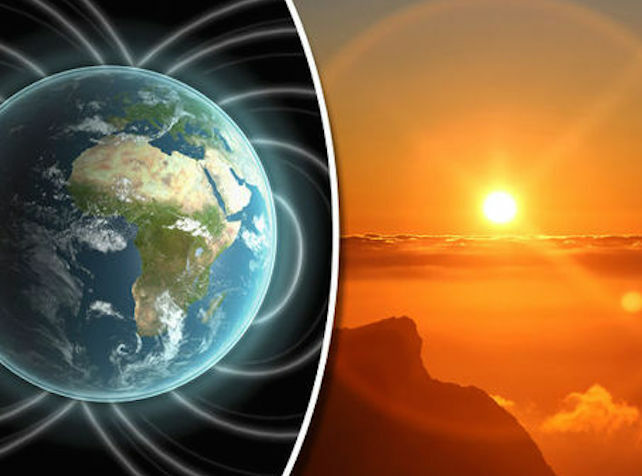 * A variety of scientific news articles, including: “Pieces of sun’s magnetic field fly through space,” Lawrence Spohn, Albuquerque Tribune, 3-22-91; “Great Ball of Fire: An angry sun stages a spectacular show,” Time Magazine, July 3, 1989. Foundation for the Study of Cycles: Rhythms, Periodicity and Change.